After a tremendous trip to New York City in early May in which I caught four new Broadway productions in three days, I was anxious to tell everyone I knew about the shows I saw (as per usual). Luckily, I found many who requested recommendations for their upcoming visits or who simply wanted a firsthand account of the plays and musicals they had been reading about for months. 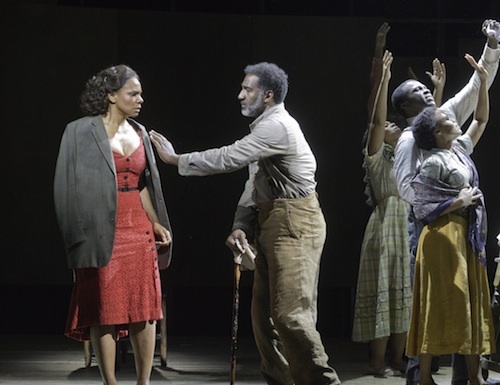 When I tried to describe my experiences at Peter and the Starcatcher and Porgy and Bess, however, I encountered a problem I have simply never had before: I couldn't find the words. Regarding Porgy, I could hardly express the strong emotions elicited from just a glance from Norm Lewis as Porgy toward Audra McDonald as Bess. I was completely taken by Ms. McDonald's complete inhabitation of her character - occasionally to a frightening degree - and simultaneously awed to hear her pitch-perfect rendition of one of the most challenging scores in musical history. Mr. Lewis' Porgy broke my heart so regularly over the course of three hours with his sincerity and unwavering faith that my chest hurt for an hour after the curtain came up. It's hard to describe what this type of theatrical experience did to me except to say that I am still equal parts engaged and haunted by it. Meanwhile, over at Peter, it almost feels blasphemous to single out any member of the ensemble in such an exceptional production with exceptional performances. 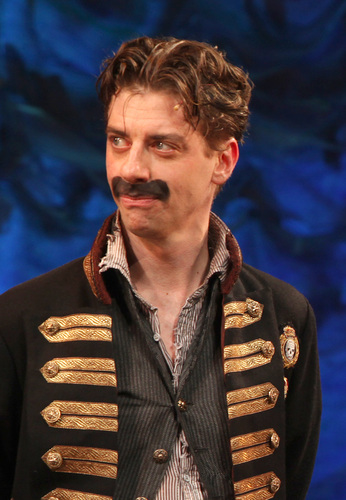 Yet I can't stop talking about Christian Borle. I spent most of the production holding my breath, terrified that so much as an exhale might disturb the balance of the atmosphere in the theater and interrupt the single best performance I had ever witnessed. As I struggled for weeks to come up with a way to verbalize my awe at what I had experienced, I finally settled on an apt if still imperfect analogy: it was like watching an Olympic athlete win a gold medal. Someone at the absolute pinnacle of his craft giving a clutch performance of pure perfection. I have the distinct feeling I may never again witness a performance quite as stunning, which makes me all the more grateful for the opportunity. Any questions on who I'm rooting for at this year's Tony Awards? Have you ever witnessed a truly magical individual or ensemble performance?